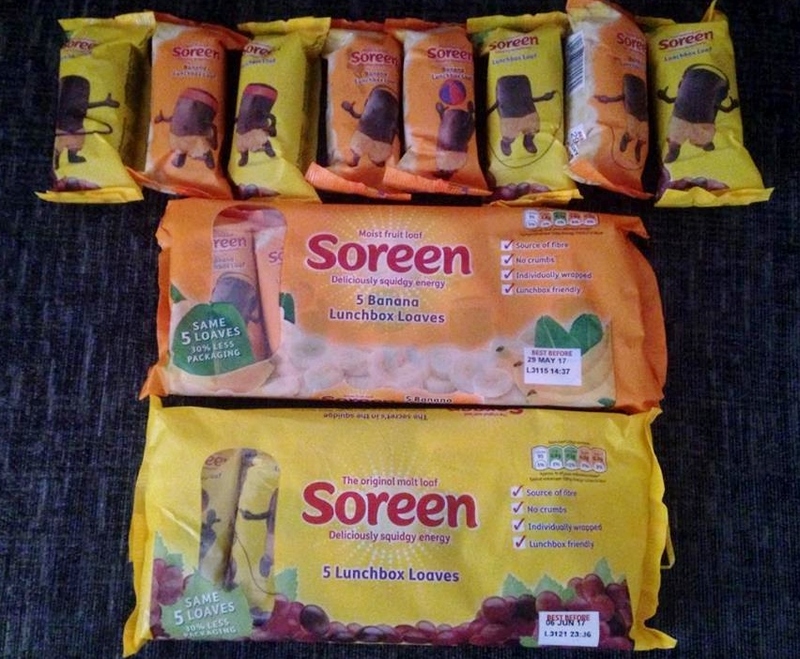 Soreen is a product that I have often noticed in the supermarket, however my children generally like food that they are familiar with and therefore tend to stick to the same food items when it comes to their lunchbox contents. I wouldn't say that they are fussy eaters, but instead they have their firm favourite snacks and so don't really tend to try new things unless it has been something they have seen their friends eating in school or something that they have been able to have a sample of in a supermarket whilst shopping with me. It was therefore nice to be offered the opportunity to try the new Soreen lunchbox loaves, which come in two flavours, original and banana. Soreen is the UK's favourite malt loaf and are now available in small convenient sizes. The packs include 5 individually wrapped loaves which is the perfect number for school packed lunches. They are a great source of fibre, and contain less than 0.3g of saturated fat. 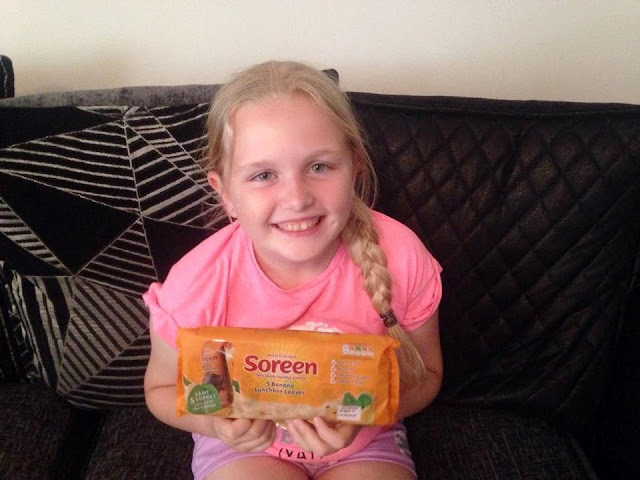 The Soreen Lunchbox Loaves contain only 95 calories each and even meet the Government's Nutritional Standards for School, which are all reassuring figures for parents looking for a nutritional but tasty snack for their children (or themselves too!). Both the original flavour and the banana flavour are suitable for vegetarians, which is great for us as several of my daughters friends are vegetarian, so it gives us a handy go to snack to have in the cupboard for when they come round to play. Although they are named Lunchbox Loaves they are also great for an after school snack, or something that can easily be carried around in your handbag for when you are out and about. The packaging stands out on the shelf, and like I said previously, it is a brand that I have noticed numerous times in the supermarket which I believe is because of the wrapper. The bright yellow colour instantly catches your eye, and the use of red text against the yellow background also makes the brand name very obvious and easy to read. The nutritional information is featured in the top right hand corner (as you look at it) and there is a handy checklist which provides useful information about being lunchbox friendly and the items being individually wrapped. The small clear window on the left hand side is a great idea, as this gives you a sneak peek at what the product looks like inside and allows you to see both the design and size of the lunchbox loaves, helping you to make an informed purchase. When it came to the taste test my daughter Emma preferred the Banana flavour out of the two. Initially she wasn't sure whether she liked them, but after a couple of bites she said that they were actually really tasty, and that her initial indecisiveness was just down to the fact that it was a different texture from what she is used to. She was expecting it to be similar to a crumbly cake, so was taken by surprise by the soft and squidgy texture. As soon as she had finished her first one, she then asked for a second which is always a good sign that she enjoyed it! Ben on the other hand preferred the original flavour, which was great for me as it meant no arguments over who had which in their lunchbox, or who would get the last one in the packet! 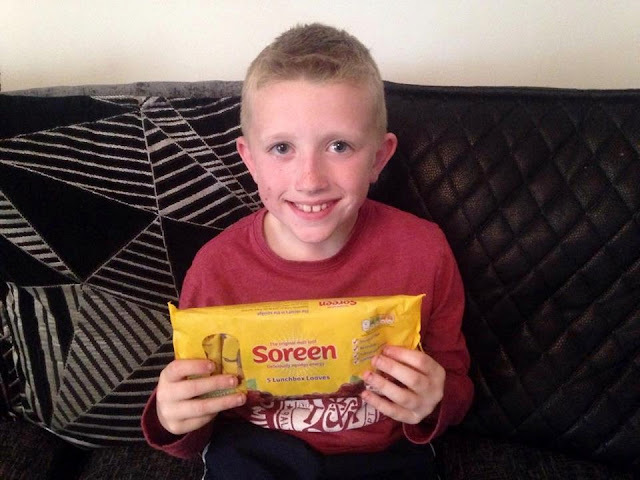 He found the original flavour really tasty and his pack of 5 only lasted three days as opposed to the full school week as he took a couple of them to football training with him so he could have a quick snack just before he started. My stepson Liam who is 17 also came and tested these for us when he stayed over this week. 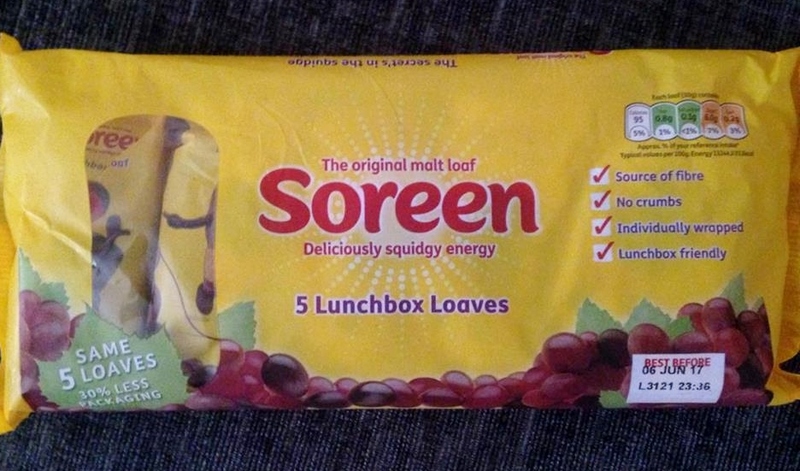 He has always been a fan of Soreen and so was keen to try out the lunchbox loaves and provide his opinion. He thoroughly enjoyed both of the flavours and his only slightly negative comment was that he found the smell of the banana one quite strong. He loved the taste though and took several packets of both flavours to school with him the next day. 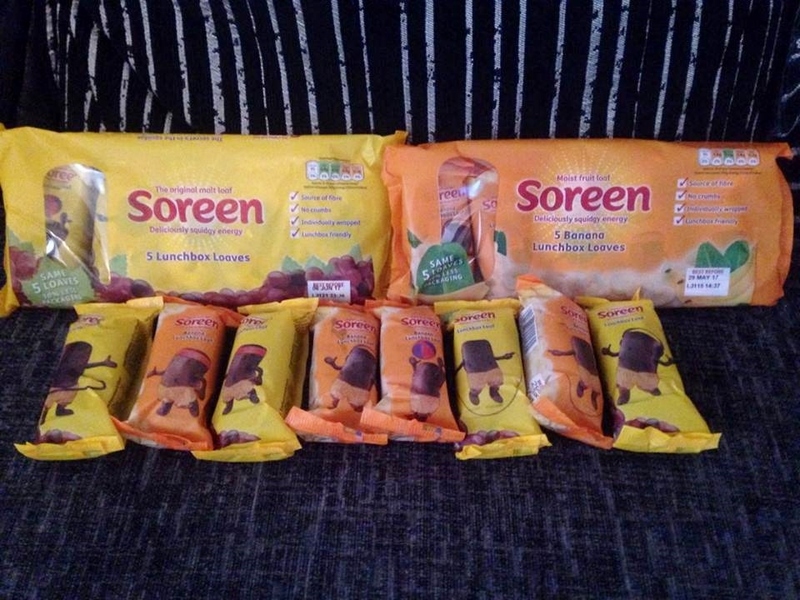 Overall, the Soreen Lunchbox Loaves were a big hit with our family and the product is suitable for all ages not just children. They can be purchased from Asda, The Co-operative, Morrisons, Sainsbury's, Tesco, Waitrose and Ocado.com. The current RRP of the product is £1.35 per pack of five, however several of the supermarkets currently have these on offer for only £1! Disclaimer: We were provided with samples of this product on a complimentary basis for the purpose of writing an honest review of our experience with the product. All views, opinions and photographs are my own unless otherwise stated.